One kind of gold beneficiation process takes two closed half a broken, two second closed-circuit grinding, and then optimization of flotation, featured. And its tailings is the election of a rough one other operation, and featured concentrate tailings and swept the election are mixed together to regrinding re-election with original ore. So this process has high broken effective. The fine-grained level in final broken product is over 81.55%. Its breaking capacity is great that is 53.84 ton per hour. 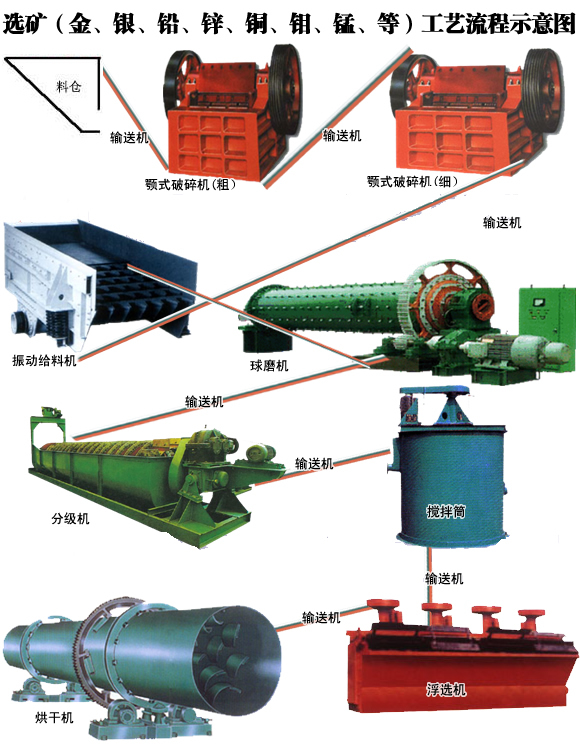 It has short working time, effective sorting and technical indicators for the high that can improve ore-dressing recovery and concentrate grade at the same time. Recovery ratio is improved by 3.03%, and concentrate grade is improved by 16.57 g/t, and power is reduced 21.5%, and the cost is reduced by 18.9%. And the annual economic efficiency is added by 8.6012 million Yuan.